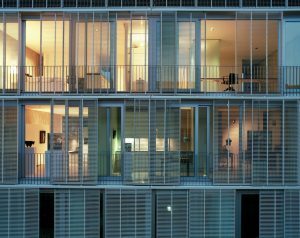 The Baugruppen model represents an innovative strategy for constructing new housing. 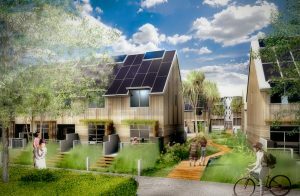 Known in North America as co-housing, Baugruppen or joint-venture buildings in Germany, and l’habitat participatif or participatory housing in France, are resident-led housing design and development. Baugruppen is an approach to developing housing where private owners collaboratively build affordable multifamily projects. It’s not quite the same as co-housing – some include common spaces and facilities (e.g. 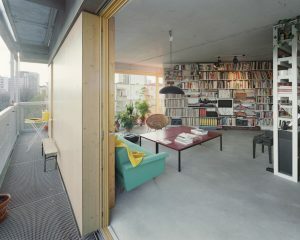 gardens, community rooms, roof terraces) but these are not necessarily incorporated. 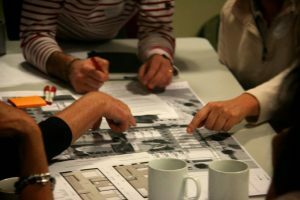 However, like co-housing, baugruppen incorporate a participatory planning process. 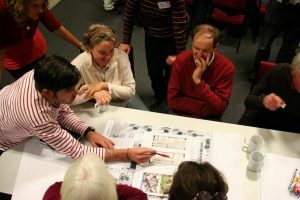 Multiple families get together and agree the design that suits everyone – these are usually multi-storey, multi-unit buildings (think apartments) rather than detached or semidetached housing. An alternative form is Baugemeinschaft, a form of cohousing led by an independent consultants-developer, often with an architectural background, have emerged as viable options as more Germans look to become homeowners. How do baugruppen deliver affordability? Baugruppen are an affordable approach to housing because they are generally funded without developers (self-financed). Local professionals tell me that groups of individuals working collaboratively and without the developer can save 15 – 20% of housing costs (basically removing the development margin from the construction costs). Leaving owners to complete fitout themselves provides additional cost saving opportunities. In Wilhelmsburg (Hamburg), we came across two quite different examples of baugruppen. The first was a mixed development, in partnership with a developer, where the front portion of the development was sold off to private owners and the rear portion owned by partners in the baugruppen. The second baugruppen development was quite different. Named Smart Price Houses, they were designed as a do-it-yourself development. The basic skeleton structure, staircase access and basic building connections were constructed for the co -owners. The design idea is Le Corbusier’s Dominio House. Individual owners then designed and completed the interior fit-out of their own units. 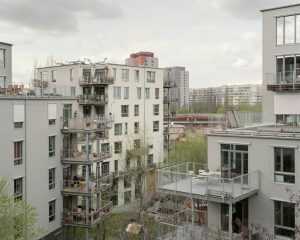 In Berlin I went to a third baugruppen in Ritterstrasse where 19 households came together to design / build this attractive development. They reputedly saved 20% of construction cost by adopting industrial construction methods (for example, electrical conduit runs surface on walls) and selfmanaging the contract to avoid developer margin. City support for baugruppen I met with Stattbau, a multi-disciplinary design practice which has a contract with the City of Berlin to provide facilitation services for those groups interested in participating in baugruppen developments. Similar services are offered in Munich and Hamburg. 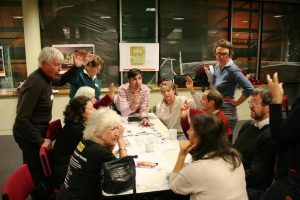 This is an innovative and successful way to support groups who want to design and develop their own communities. With a lawyer and business manager on their team, Stattbau lead a robust process which supports groups through the orientation phase, the planning phase, the purchase of land / construction process and the occupation / residence and ongoing maintenance. Over 8 years, Stattbau has facilitated 160 groups to build baugruppen. It’s fair to say that city governments in Germany have shaped and promoted this practice with policies that support self-organised, collaborative building. Take Tuebingen, for example. By the mid-90s, Tuebingen was beyond affordable for many residents. The City purchased brownfields vacated by NATO in the southern part of town, and Alternative housing delivery: Baugruppen Page 3 held competitions to sell individual lots to baugruppen with the best concept. Baugruppen were required to allocate the ground floor for non-residential use, and set development to the block periphery with large areas set aside for semi-private courtyards. Tuebingen’s approach resulted in costs 10-20% lower over typical developer models, with higher levels of diversity and ownership amongst younger families. The City of Hamburg undertakes to encourage and facilitate the development of baugruppen with a special department which has overseen and coordinated the building of 1800 developments over the last decade. Hamburg sets aside nearly 20% of suitable land specifically for baugruppen, and if there is competition for a lot between interested groups, the City looks at various criteria, including viability, concept originality, owner diversity, etc. 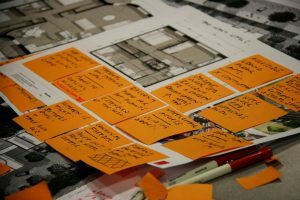 This pushes baugruppen in the planning stage to be very innovative –such as predominantly immigrants, or single parent households only. In Freiburg, the city council made a conscience decision that developmental rights in Vauban would be preferentially given to baugruppen over developers. The city and working group felt that prioritizing affordability (through collaboratively-built projects), would make it attractive and feasible financially for families to live there rather than suburbs. Rather than bidding wars, lots were awarded to parties meeting criteria such as most diverse scheme, most ecologically sound, etc. Freiburg’s city council even provided facilitators to help a baugruppe procure legal and financial representation for their project. In terms of population density–at 5,300 inhabitants over 38 ha –Vauban is denser than over 95% of Seattle, yet it maintains a distinct character and ample open space. Baugruppen would certainly require New Zealanders to adopt a different approach but with the burgeoning interesting in community-led development, the time might be right. With suitable support to ensure success, clearly there are savings to be made. And with participation in design, future owners can choose what they want and how they want to live in a medium density setting.